← How Long does EMP or CMP Last? The first thing to think about is prevention; the majority of dental problems can be prevented through flossing, brushing, and having teeth professionally cleaned on a regular schedule. Get your teeth cleaned and check on a regular schedule. Remember that in the past people died from dental abscesses resulting from tooth decay. Ok but now, you have a toothache and there is no dentist available. What do you do next? Toothache or tooth pain is caused when the nerve of a tooth is irritated. 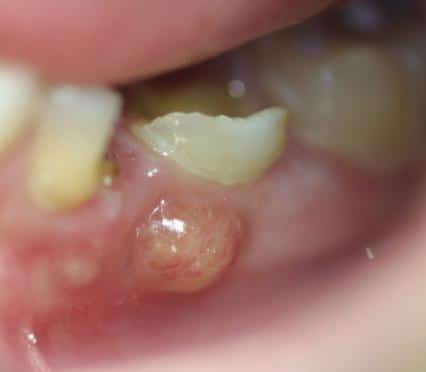 This causes an inflammation of the central portion of the tooth called pulp. The pulp contains nerve endings that are very sensitive to pain. Inflammation to the pulp may be caused by dental cavities, trauma, and infection. I have known people who went for weeks or even months with a toothache, don’t do this the problem won’t go away it will only get worse and can cause you real problems. Rinse your mouth with warm water Salt Water: Mix a heaping tablespoon full of salt in a small glass of warm water; swirl around inside your mouth for as long as you can, spit out. Repeat as needed. Take an over-the-counter pain reliever to dull the ache, but don’t place aspirin or another painkiller directly against your gums because it may burn your gum tissue. Sparingly apply an over the counter antiseptic containing benzocaine directly to the irritated tooth and gum for temporary relief. Apply oil of cloves (eugenol) on a small piece of cotton directly to the sore tooth and gum to numb the area. clove oil needs to be used carefully. Pouring the oil on the aching area can actually worsen the pain if you get it on sensitive gum tissue or on your tongue. Instead, put two drops of clove oil on a cotton ball and place it against the tooth itself until the pain recedes. In a pinch, use a bit of powdered clove or place a whole clove on the tooth. Chew the whole clove a little to release its oil and keep it in place up to half an hour or until the pain subsides. To help kill bacteria and relieve some discomfort, swish with a mouthful of 3% hydrogen peroxide solution. This can provide temporary relief if the toothache is accompanied by fever and a foul taste in the mouth (both are signs of infection), but like other toothache remedies, it’s only a stopgap measure until you see your dentist and get the source of infection cleared up. In addition you should have a copy of the book Where There Is No Dentist by Murray Dickson. This book is designed for basic field triage dentistry for the untrained. It will be a big help. However, you may want to talk to your dentist and see if he has any suggestions. I had a talk with one and he gave me an older set of instruments for extracting teeth along with some instructions. Just remember that 200 years ago dental abscesses were a major cause of death. Take care of your teeth. This entry was posted in medical and tagged toothache. Bookmark the permalink. 2 Responses to What do you do when you have a toothache after TEOTWAWKI? Thanks Howard. The Adventure Medical link returns a 404, but found the kit at their site. These are great tricks to sooth your tooth pain during an emergency. Warm salt water always works for me. Thanks for sharing!